Villiers Classic Hotel has been designed around an original cobbled courtyard that once stabled 150 horses. 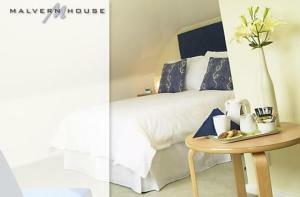 46 individually designed en-suite bedrooms and suites with all the facilities you would expect at home. Villiers Classic Hotel has produced the quintessential luxury hotel experience. Each spacious, individually decorated room and suites offer a rewarding and timeless elegance and up-to-the-moment convenience; luxurious comfort and classic sophistication. 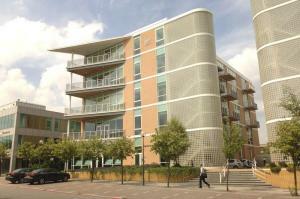 Vizion is located in the business district of Milton Keynes and has one and two-bedroom apartments with free Sky TV, Wi-Fi and allocated parking. 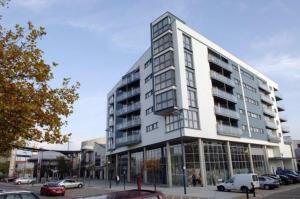 The apartments are walking distance from Milton Keynes Central Train Station. The National Hockey Stadium, Xscape, Planet Ice and the shopping centre are all nearby. In the heart of central Milton Keynes, these spacious, modern apartments offer great value for money with free Wi-Fi, free on-site parking and Sky satellite TV. The MK Apartments - South Fifth Street are a collection of one- and two-bedroom serviced apartments in the very heart of Milton Keynes' business district, just metres from the Central Business Exchange. Milton Keynes Central Railway Station is less than a mile (1.6 km) away. Stylish, spacious and modern, each apartment provides all the contemporary comforts and facilities you need at an affordable price. Every apartment has a fully equipped kitchen with everything you need to prepare your own meals. 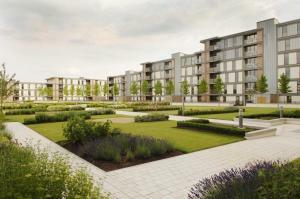 Each apartment either has gated private parking with garage or an allocated parking space. Located in the heart of the city, close to the train station, the business district and cultural attractions, this hotel is within walking distance of the city's shopping centre. 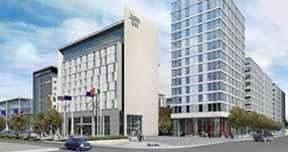 The brand new hotel opened in August 2006 and features 279 spacious, air conditioned bedrooms, 13 dedicated meeting rooms, Innfusion Restaurant, Inntro Bar and Il Barista coffee bar. Jurys Inn is the ideal choice, whether you are staying in Milton Keynes for business or leisure. 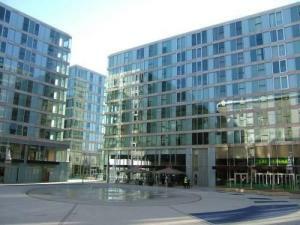 In the heart of central Milton Keynes, this stylish, spacious and modern apartment offers great value for money with free Wi-Fi, free on-site parking and Sky satellite TV. 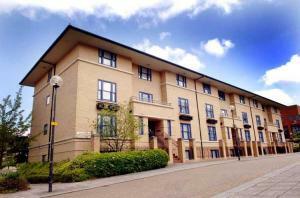 MK Apartments - Ascot House is a one-bedroom serviced apartment in the very heart of Milton Keynes' business district, just half a mile (800 m) from Milton Keynes Central Railway Station. The Central Business Exchange is just 0.6 miles (1 km) away and all of the town centre's shops are also within easy walking distance. Light, airy and contemporary, the apartment provides all the modern comforts and facilities you need at an affordable price. The fully equipped kitchen has everything you need to prepare your own meals. 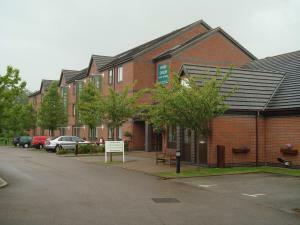 All Mk Apartments either have gated private parking with garage or an allocated parking space. With its own restaurant and bar, this Days Inn hotel is on the M1 (junction 14), 10 minutes' drive from the centre of Milton Keynes, well placed for Silverstone, Northampton and the North. 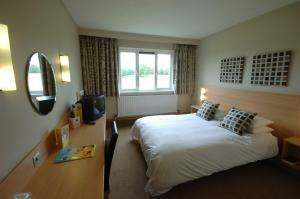 Many of the rooms at Days Inn Milton Keynes were refurbished in 2008/9. 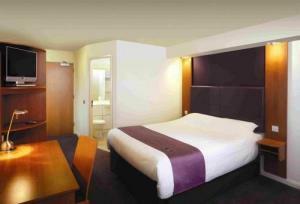 These offer Hypnos beds and flat-screen TV with over 60 digital Freeview channels. All rooms have en suite bathrooms and tea/coffee. Silverstone Race Circuit is a 35-minute drive from the Days Inn Milton Keynes. You can reach Woburn Abbey in 15 minutes. The Milton Keynes Xscape Centre (a leisure complex) is 12 minutes away. This Days Inn hotel has a 24-hour reception, Wi-Fi connectivity and free parking. 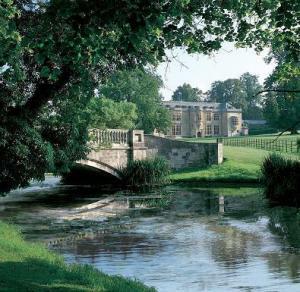 This traditional pub offers a friendly atmosphere and great access to Woburn Abbey, the safari park and Woburn Golf Club. Enjoy fine wines, Real Ales and excellent-quality pub grub. Located close to the M1 and Milton Keynes, Red Lion Hotel has cottage or chalet-style bedrooms with en suite bathrooms and relaxing double beds. Surrounded by picturesque Thames Valley countryside, this charming boutique hotel and restaurant is in the idyllic village of Cookham Dean, only a 45-minute drive from central London. Each individually designed bedroom is beautifully furnished, some with period features including beamed ceilings. Some of the rooms have a sumptuous four-poster bed. All rooms have a digital TV and en suite facilities. The Inn on the Green boasts a luxurious outdoor hot tub, where guests may unwind. There is a relaxing lounge bar and an inviting restaurant, comprising of 3 unique and cosy dining rooms. 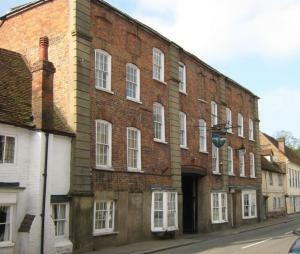 There is good access to the riverside towns of Henley, Marlow and Windsor. Free Wi-Fi internet access and free parking are available to guests. An inclusive full English breakfast is provided. This 18th-century inn in the picturesque Chiltern Hills offers good dining and quirky, traditional bedrooms. The inn is close to the Hellfire Caves and West Wycombe Park. Reach the inn through a cobbled archway, as many traders and travellers have done for generations. 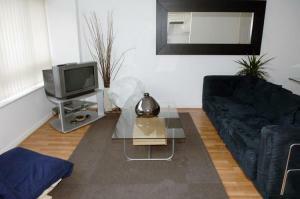 Enjoy attentive service and a large garden with a children's play area. 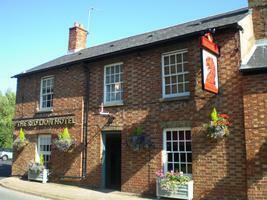 On the menu, George & Dragon serves local game, English cheeses, traditional puddings and lamb from the local estate. Well-kept Real Ales are available. Bedrooms are comfortable and interesting. All have the uneven floorboards and unusual features that come with age, in addition to Sky TV and an en suite bathroom. The Holiday Inn Garden Court Aylesbury offers the Holiday Inn trademarks of quality accommodation and value for money. We provide essential services and facilities combined with a distinctive regional personality and ambiance. With easy access from the m25, m40 and the m1, the Holiday Inn Garden Court in Aylesbury is conveniently located less than five minutes from the center of Aylesbury and offers the perfect base for the business or leisure traveller to explore all the area has to offer. The hotel provides well-equipped bedrooms and all the efficiencies expected, which add to the quality of the accommodation and excellent value for money the hotel represents. Drakes Bar and Restaurant provides a friendly informal atmosphere in which to enjoy a relaxing drink or dinner from our selection of tempting dishes. The hotel is also able to offer meeting facilities for up to thirty delegates in our modern meeting rooms. All audio visual equipment is available for your convenience. Full leisure facilities are available complimentary to all our guests at the adjacent Reflexions Health and Leisure Club. A warm welcome awaits with a friendly and efficient service, attention to detail and our famous can-do attitude completing the guest experience here at the Holiday Inn Garden Court, Aylesbury. In the heart of Gerrards Cross and renowned for its good food, fine wines and award-winning ales, this hotel exudes the character and charm that epitomise the traditional British inn. The striking Georgian-style building located in the village centre offers the luxury of a countryside retreat with the convenience of easy access to London and Windsor. 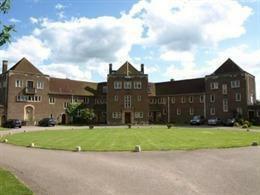 The hotel is located just 2 minutes' walk from Gerrards Cross Train Station and also offers ample parking. Its 32 bedrooms are all well-equipped with modern facilities, including wireless internet connection.